WHATS ON YOUR MIND TODAY! EDITOR FOOTNOTE: “IS IT TRUE” will be posted on this coming MONDAY. Todays READERS POLL question is: Do you agree with Dan McGinn, Mayor Winnecke and City Council that they should reduce the Homestead Property Tax Credit from 8 percent to 6 percent for 2017? Dispite what is posted in the header blog, it appears that we will not have a “Is It True?” for today (Friday). Unless that meant next Friday (09/23/16). Oh well, I guess that means all of the sane and moderate people of this community will have to endure more of the inane rants of the local Trump and Hillary political sickos who populate this blog. Despite. It’s too early in the morning and we still need an edit function. Can your IT guy work on that while he/she is figuring out the Block Robot/Do the Math problem? Not necessarily. One year ago McGinn declared that our City finances were on a great footing and accused Friend of being “political”. Now one year later we have financial issues? IS IT TRUE, that McGinn and the minions on Council plan to increase our income taxes from 1% to 2.5% of OUR TOTAL INCOME ..this is interest, dividends, pensions, rentals, S- corporations (small business who employ people) LLC’s etc ..IS IT TRUE that in 2015, the General Fund lost $12.2 million after subtracting the unauthorized transfer of 12.5 mil from the Riverboat funds that were advanced by Trop. IS IT TRUE that the last time the General fund run in a surplus was the last year of the Weinzapfel adm? So, were in the hell does McGinn get off saying that the City has been running in the red for the last 12 years. Is it true we will be losing our homestead credit at a rate of 2% a year until it is gone? Is it true that TIF districts are flushed with money at the expense of the General Funds? Is it true that corporate “food stamps” (tax abatements) is at the expense of the General fund? Is it true that that local government should not be in the real estate business? Is it true that too many office holders “are” in the real estate business? Is it true that C&P had a front page article on teacher shortage in Indiana? Is it true that our governor tried to reduce the role of our duly elected Sec. Glitz duties? Is it true that the past 11 years, our governors agenda’s has destroyed Indiana’s teachers profession? Is it true that PCD has just got the September 16th IIT? I believe we have found a new Administrator! The job is yours! And not one inane question about Trump’s indicretions or hair or Hillary’s lies or health! indiscretion. Hurry up with that Edit feature. Is it true the city residents got the mayor and city council that they deserve. Not the Mayor andcCity Council they deserve. But the best money can buy. Yes that is true.. Everyone should have listened to the last City Council..
Ouch! Do you have to be so honest you brute? Jeb of Warrick County was tasked with drafting the paperwork to eliminate the Vanderburgh County homestead tax credit over a 4 year phase out. They are just going to have to raise your taxes and eliminate your deductions because, as we all know, the chamber, through is unelected taxing unit called the Evansville Redevelopment Commission needs your money worse than you do! I mean really now, wouldn’t you rather have a new shiny street and bike path running through a depressed business district surrounded by substandard residential rental property rather than spending your money to upgrade your own property? You can save Evansville, or you can save the Evansville Redevelopment Commission, but you can NOT do both. ABOLISH the Evansville Redevelopment Commission NOW! 100% true!! You’re the man, Armstrongres! While the resettlement effort got off to a slow start, the Obama administration has now easily exceeded its goal of taking in 10,000 Syrian refugees by Sept. 30, the end of the government’s fiscal year. “President Obama revealed at the Our Ocean Conference on Thursday that climate change is a national security issue for his administration that gets discussed in the Situation Room, according to the Weekly Standard. Obama/Hillary/Kerry are in the Situation Room talking about global warming while Jihadists are actually at war with us. Absolutely pathetic leadership from this failed regime of liberal elitists. [Hillary Clinton ally David Brock is offering to pay for new information on Donald Trump, hoping that damaging audio or video on the Republican presidential candidate will be submitted to his super PAC. Brock, founder of the left-wing Media Matters and operator of Correct the Record super PAC, recently posted the plea on Correct the Record’s website and is referring to the project as “TrumpLeaks,” NBC News reported. Can you imagine how desperate these people are? People who would never print anything unflattering about Hillary Clinton, even if it were given to them free of charge, are now willing to PAY for anything unflattering they can get on Donald Trump! What a bunch of losers. Talk about “deplorables” Hillary Clinton and this bozo Brock top the list! Do these people responding to her creepy tweet really not understand the communist agenda? It all there in Hillary’s mentor Saul Alinsky’s Rules for Radicals, which serves as Hillary Clinton’s guidebook for life. At is very basic level is the indoctrination of the youth into their plan. More Clinton Campaign corruption driven by panic and fear. Not the least of which is the fear by the Clintons of the very real possibility of facing a Justice Department that they do not own, should Hillary Clinton lose the election. 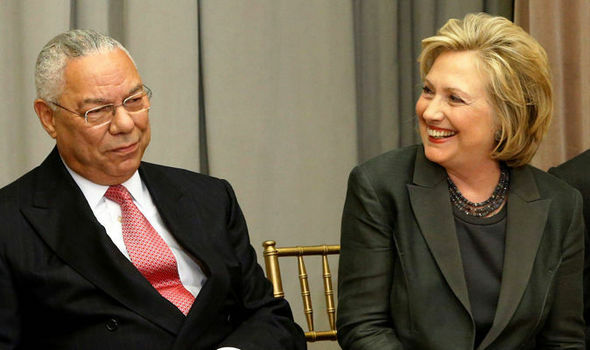 Maybe then we could get to the bottom of the email scandal, and the Clinton Foundation “pay-to-play scandal, both of which are joined at the hip! Are these Latinos in the “basket of deplorables” that Hillary Clinton described? I don’t think so. Please find a hobby or volunteer at a local shelter. Everybody here is sick of you and all those like you both for trump and hillary! Go pull weeds in your yard, take a walk,or even get pokemon go. Sitting in your basement all day posting blather is no life. Please don’t encourage him to inflict himself on homeless people. They have it tough enough without adding him to the mix. Wayne changed his screen name. American commandos ‘forced to run away’ from US-backed Syrian rebels. This is more evidence of the total incompetent foreign policy of the Obama/Hillary/Kerry regime. Simply pathetic. But, what do you really expect from those 3 stooges that made global warming a centerpiece of their National Security Policy and let Iran humiliate our sailors with any consequence. For God’s sake get a life! Yep, liberal democrats can not be trusted with the security of the United States. Dear elkaybee the get a life post was also for you ,and the rest of the Hillary cheerleaders also. Try scrapbooking or visit your grandkids. I do both of those and a lot of other things, as well. I’m not a big fan of Hillary. I support her because she isn’t Trump, who is a terrible danger to the US, and I understood full well that your post was aimed at me, too. It was my way of letting you know that I’m ignoring you. Look for a mass exodus of good little college professors as they increasingly become victims of their own creations! Being “Hoosier white trash” most of us, I am sure, would not share your interests. There are a few posters here who will enjoy it, but the numbers of them here on CCO appear to be shrinking by the day. I didn’t know you enjoyed fiction. Guess I should have. Entrenched in political scandals does not make one eminently qualified. Thanks Waldo will follow up next week. Glad to have you back reading and posting in the CCO. Is it true the crooked DemocRATS from out of state are up to no good in Indianapolis? Today it was discovered that if a politicians mouth is moving THEY ARE LYING! This study covered all parties equally. Wayne, I see your man didn’t make it into the debate because he lacked the requisite minimum of 15% in the polls. So tell us the truth now, who are you going to vote for? Congress on Friday launched a wide-ranging probe into a secret Obama administration-funded campaign to unseat Israeli Prime Minister Benjamin Netanyahu, according to information exclusively obtained by the Washington Free Beacon. The probe comes on the heels of an internal government report determining that the State Department provided hundreds of thousands to an organization that plotted to unseat Netanyahu in the country’s 2015 election. Obama administration officials were found to have deleted emails from State Department accounts containing information about its relationship with OneVoice, the non-profit group that led the effort. Simply more lies, deceit and deleted e-mails from the Obama/Hillary/Kerry State Department. It really makes you wonder whose side they are on. The GOP Controlled Congress has the lowest approval rating that any other congress ever. So don’t tell us what that stupid congress is investigating unless or until they investigate how they have failed the USA and it’s people with their waste of tax payers dollars investigating Hillary the umpteenth time. Good day sir. Trust me Sharpie I’m far from liberal. Trump played Hillary and the media for the fools they are. HOW ABOUT IF WE THE PEOPLE DECIDE? Disgraceful is not out and out criminal! Yes Trump is a criminal con man. I agree 100% that we should dump trump now rather than later. It is OVER for Hillary. End of story. Disarm Rump’s bodymen, jail him for the Bondi bribe. Three days in the electric chair for impersonating a human. Turn out the lights and close the door behind you Bandana, your party is over. Steel yourself Press, The Beast is your next president. Wolf Blitzer being treated for depression? The States of the Nation project, which delivers a weekly tally of support for the candidates in every state, shows that the race has tightened in several traditional battlegrounds. Pennsylvania has been moved from a likely win for Democratic presidential nominee Hillary Clinton to a tossup; Ohio has been moved from a tossup to a likely win for Clinton. And Florida is now considered a likely win for the Republican nominee, with 50 percent support for Trump to 46 percent support for Clinton. If the election were held today, the project estimates that Clinton has a 60 percent chance of winning by 18 electoral votes. Last week, the project estimated that Clinton had a 83 percent chance of winning the election. Hillary still sinking faster than Ted Kennedy’s 1967 Olds 88 off Dike Bridge. Before you, PAK, IE, and the multiple personalities of the malapropism-prone “phantom poster” celebrate too much, take a look in the upper right-hand corner of the RCP homepage. http://www.realclearpolitics.com/. You’ll notice that Hillary ‘s odds of winninng are 66% to Trump’s 33%. When the fallout of yesterday’s exhibition of Trump being Trump shows up in the polls, I expect a change in the direction of his numbers. If they post anything else today, I’ll be sure to share it here. LKB, your poll shows Trump +3 in Ohio. I know. I can read. Unlike you and your compadres, I like the TRUTH, even when it isn’t what I want it to be. Here’s what Nate Silver sees today. I will post his updates. Btw, she doesn’t have to have Ohio to win, but he does. THOUSANDS OF CLINTON-BLUMENTHOL COMPUTER FILES ON DEEP WEB! Are these the files that are going to be dumped on the public? their “constitutional duty” to vote yeah or nay on that 9th justice! Disgusting, isn’t it? It’s no wonder that people like the idea of having a root canal better than they like Congress. We are without a functioning United States Department of Justice because of the political hacks who have been placed in charge of it. There are any number of cases that should be under way there, but the current democrat in the office of Attorney General, and her democrat boss Barack Obama have either blocked, or have no interest in pursuing those cases. The corruption in the Administration has even infected the Director of the Federal Bureau of Investigation. And all of this to protect THE MOST CORRUPT POLITICAL FAMILY in the country! Well all of that is going to change when Donald Trump takes office. The rat’s nests are going to be cleaned out, disinfected, and staffed with competent people of good moral character. The national Fraternal Order of Police endorsed Trump. Not surprising given all that Obama/Hillary have done to turn the inner-city against the police. The city needs to get serious about reducing expenses with creative solutions. Eliminating the Homestead credit and increasing the county option income tax is a simplistic solution to rising costs. How about reducing the expenses? The city’s health insurance plan should align with comparable plans in the public and private sector where cadillac plans were phased out long ago. Deductibles and co-pays need to balance the excessive health care subsidy that has grown without check. Pass an incremental cost increase on to city employees rather than incremental tax increases to the average taxpayer who has no say on decreasing the exponential costs in city government. Finally, eliminate health insurance coverage for part time employees, i.e., city council, et. al. 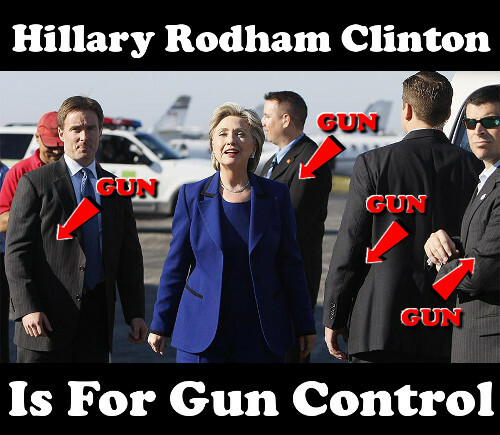 Elitist Hillary Clinton is for gun control…….